Hey deary dears, this was me in my Sunday best being a fashion martyr, braving the cold in an amazing half sheer steal from Amazon. After being on the hunt for a sheer maxi skirt for absolute centuries, you can only imagine how ecstatic I was to find it at £10, yes I was as shocked as you are! 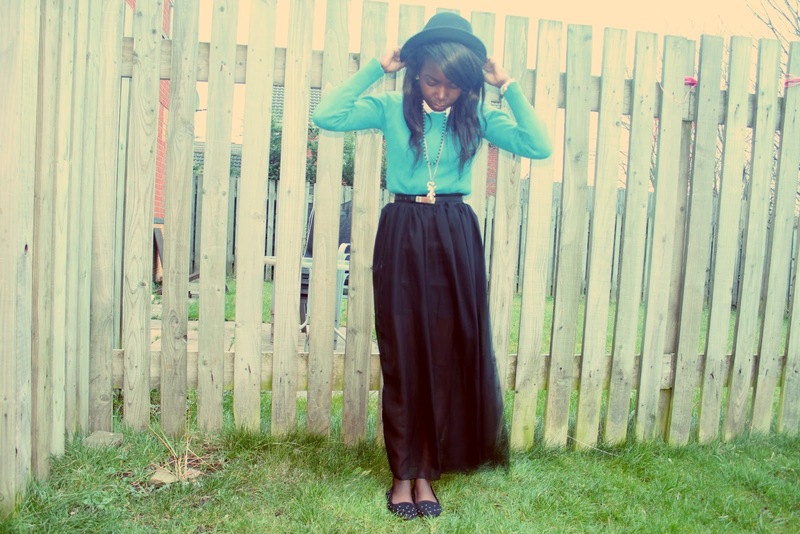 I’m also wearing my new trilby which I got over Christmas, H&M jumper, Forever 21 belt, some random jewellery & Primark flats. Hope you like! 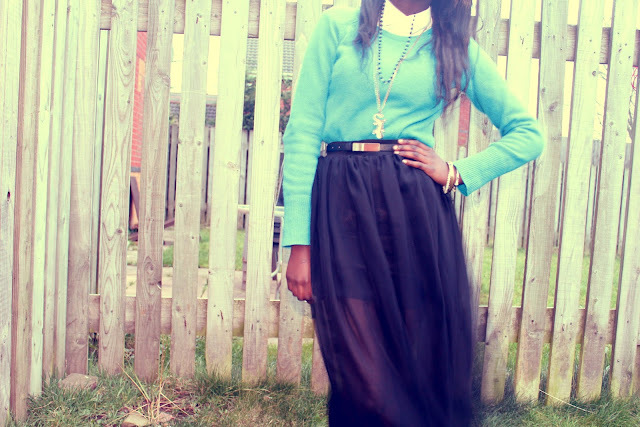 Talking about skirts in the wintertime I would just love if you could check out my cousin's vid on just that! Ofcoarse comment, subscribe & like if you do! Happy birthday to your blog! :) I love your skirt, the way you styled it is so cute. Great colours! Lovely blog! Greetings from Munich! 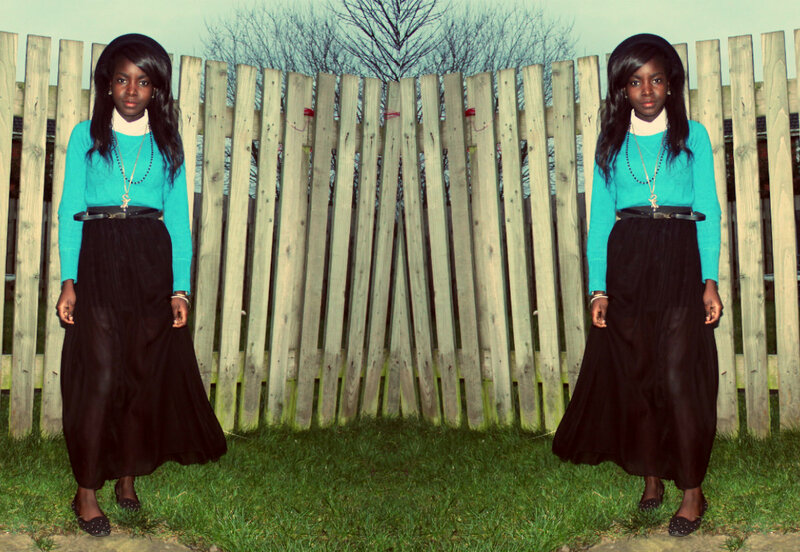 That skirt looks great with the brightly coloured jumper. super cute! and happy 1 yr blog bday! my name is terrie...love d hat by the way. so pretty!!! <3 thanks for the sweet comment doll! Please check out my Blog and follow if you like it. I'd really appreciate it. the blue jumper looks lovely on you! Love that jumper, colour is lush! You look soooo much like one of my friends! LOVE the outfit, especially the shirt!